Delicious gluten free rice porridge for children made with organic ingredients using carbon neutral processes. The wholegrains are easily digestible and contain essential nutrients ideal for growing babies. 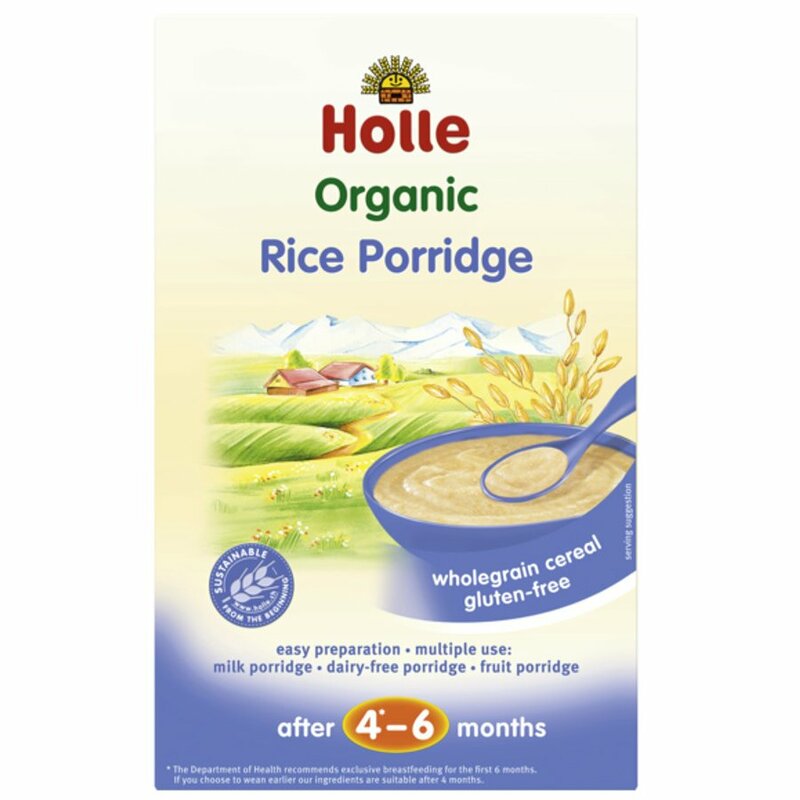 This organic rice porridge is suitable for weaning as part of a mixed diet and can be made with infant formula, cow’s milk or a dairy free alternative. 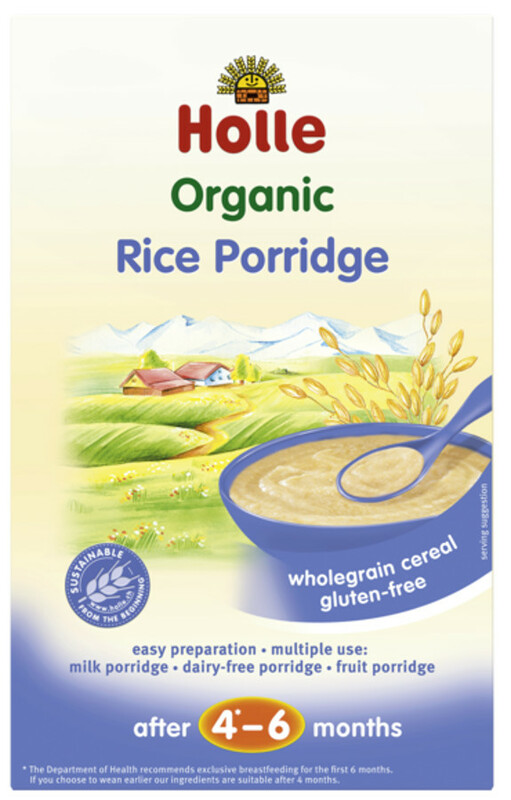 There are currently no questions to display about Holle Organic Rice Porridge - 250g. Holle care deeply about nutritious child care; providing a wide range of baby foods and other products that all use ingredients from sensible, GM-free farming. Holle boasts an illustrious 85 year history; spending decades promoting the benefits of going organic. Their range of baby foods has always been made using Demeter products as part of Hole’s commitment to sustainable production and social responsibility. They’re a CO2 neutral company that operates under the motto “Making soil good”. Holle have worked to compensate for the CO2 emissions generated while producing their products since early 2013 and have since then received certification.